Soon, I will post how to make that perfect Hello Kitty face. I already posted a pattern here, but I will share a detailed one hopefully soon. 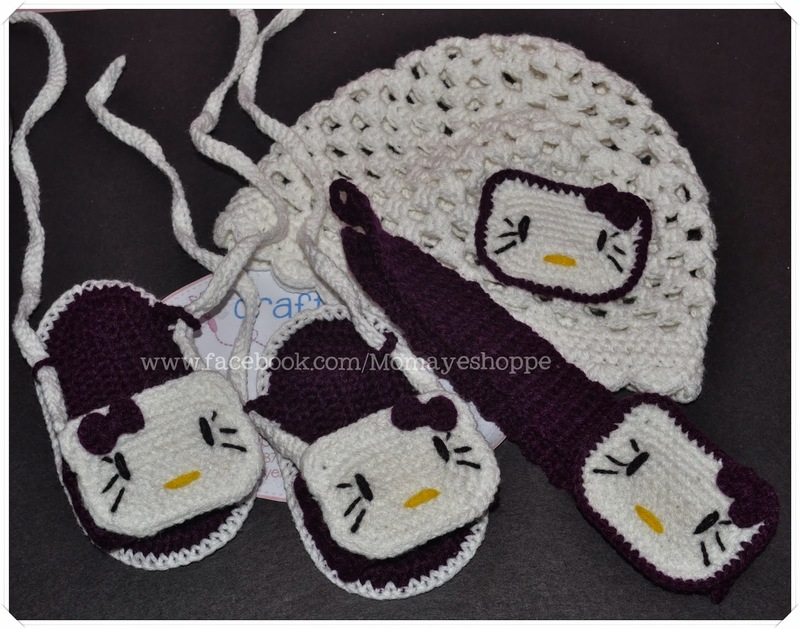 Anyway, I made all those cute Hello Kitty face and the crochet band, while the white hat and the sandals were made by my husband. In case you forgot, my husband crochets too. That's for now and I am praying I can post more soon. I hate to make promises that's meant to be broken. But please do watch out, alrighty? That's cute.. naku Mommy ewan ko ba hindi ko ma-kumpleto yung mary jane booties na ginagawa ko. hirap ma-picture out yung pattern.. hays!